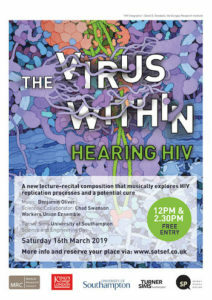 Had a great time this weekend with Workers Union Ensemble performing ‘The Virus Within: Hearing HIV’ at Southampton University’s Science and Engineering Day. The piece is the outcome of a collaboration between British Composer Award 2017 nominated composer/conductor Benjamin Oliver (University of Southampton) and leading virologist Dr Chad Swanson (King’s College London). This ‘top science/music mash-up’ and ‘structurally chaotic masterpiece’ explores HIV replication processed and how innovative ‘Shock and Kill’ treatments might provide a cure for HIV. 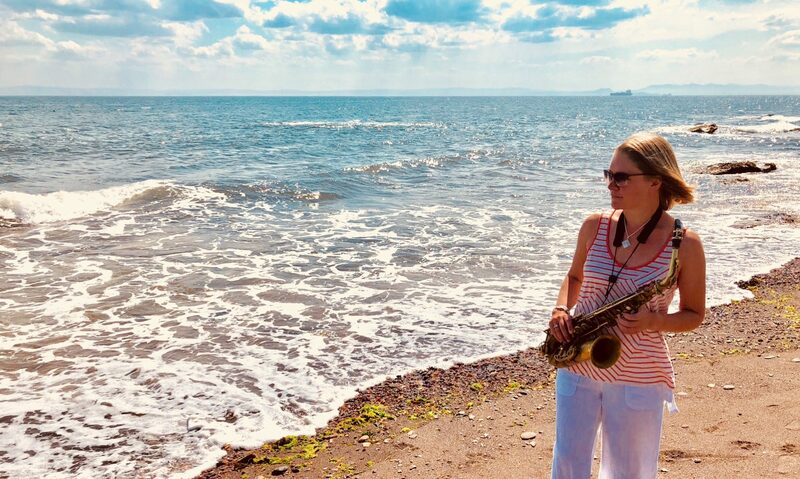 Disjointed grooves, whistles and duck calls, complex systematic musical processes developed from biological principles, whimsical chords, sirens, gnarly electronics and bags of science!